Getting hacked is bad news… unless you’re a bunch of librarians. 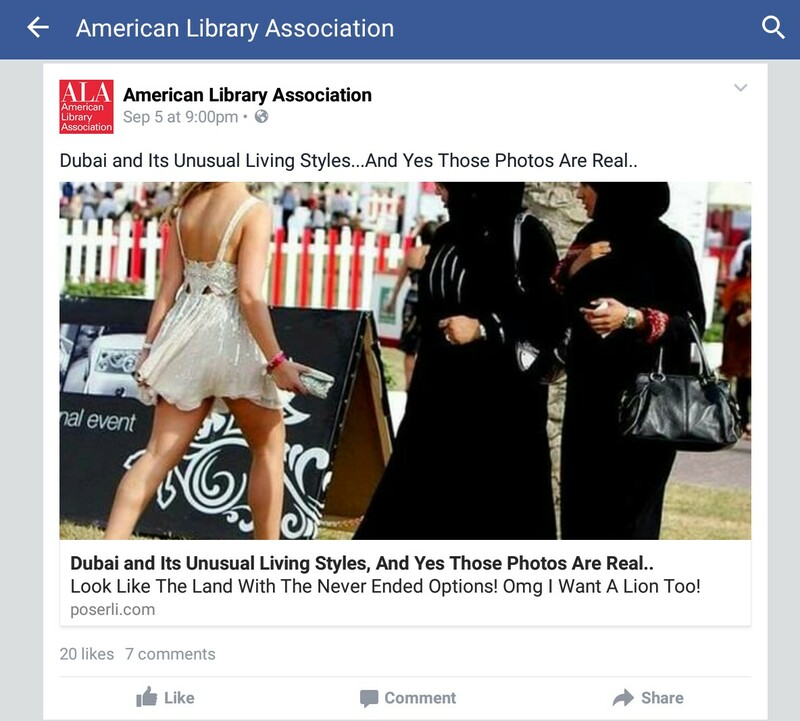 For three days “hackers” took over the American Library Association’s Facebook page and posted an endless stream of clickbaity articles and spam. The hackers had control of the page for three days and everything was returned to normal on Monday. 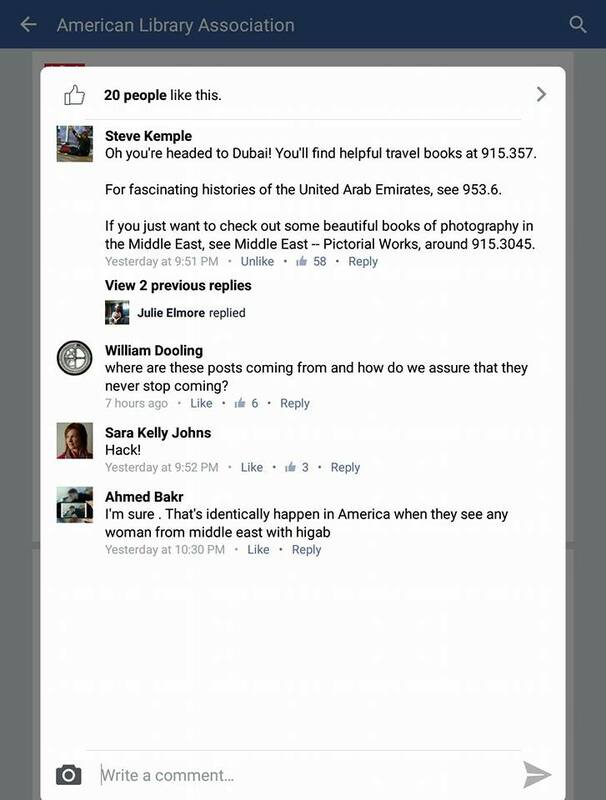 The librarians made the best of a bad situation by posting jolly responses to the articles including call numbers for various books on esoteric topics including the female soldiers above and the odd differences in style of dress in Dubai. An ALA member, one Tobey Maguire, has collected some real gems. The librarians even asked the hackers to stay. Sadly, they couldn’t and page admin Tina grabbed the reins back on Monday morning. ￼And boy-howdy do we have an awesome community here in Library-Land! Thank you, everyone, for rallying around and making this awful experience have some bright spots. 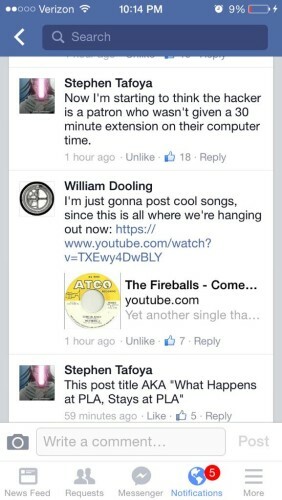 You guys are hilarious and wicked smart! The page is back and looks fabulous. Stories of small libraries making it are featured below a banner making noble use of Snoopy and all is right with the universe.